Men's stories are public. Women's stories are private. Men commit great feats in a burst of energy that are sung and talked about for hundreds of years. Women slowly and consistently nurture and build their children, their families, their communities, their visions. It is easy to point to a man's accomplishments. It is much more difficult to point to a woman's. Yet, the Gurus understood that men and women both participate equally in the play of Creation; that both are necessary. In Sikh history, it is easy to identify the public, male stories that show the power of the Khalsa consciousness. Yet, with every male story there is a hidden side -the private world of the Khalsa woman. That the consciousness of their Khalsa wives is what inspired them to do it. The Khalsa women consciously chose widowhood. They would have rather born the burden of seeing their husbands dead, of being left with the sorrow of being widowed, of raising their children alone, of having to find their economic security in the absence of a husband -they would have rather endured all this than to see their husbands walk away from their destinies and betray their Guru. You are dead to us, no matter what! Go back and stand with your Guru or leave! Minus the spiritual understanding of the women, the 40 Liberated Ones would have never returned to their Guru and would have gone through lifetimes of karma to repay the mistake. 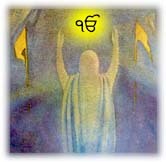 These Khalsa women understood non-attachment, security in the Divine, living in the Will of God, loyalty to the Guru so well that they could fearlessly send their husbands to their death, knowing that it was better for their husbands to die in service of the Guru than to live any other way. And the pain of loosing their husbands was less to them than the pain of seeing their husbands lose their path to God. Publicly- the valour of the men prevailed. Privately- the wisdom of the women prevailed.